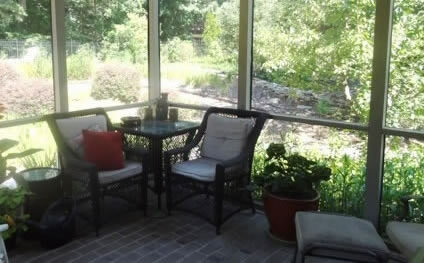 This screened in porch was the "forgotten space" in need of decorating. Before, the furniture store designer sold matching sets only. We added a more unique look with our custom cocktail table with a removable tray, and a one of a kind sleeping sofa. 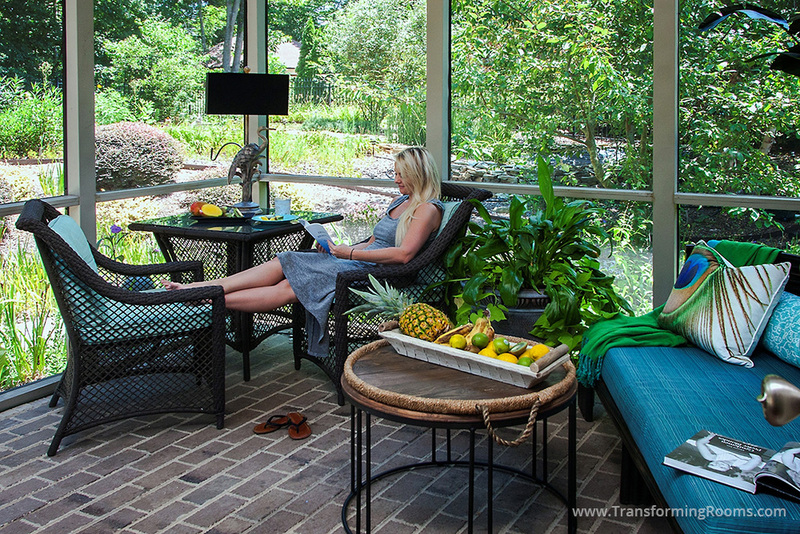 Our Greensboro, NC clients love coming home to this space!